Sunday Music in the Garden Room on October 28 will bring an emerging artist to the series, Halifax native Andrew Son, piano. Music is ostensibly on the sidelines for him, yet is the underlying ground bass of his life. While he is in his second year studying neuroscience at Dalhousie University, his minor is in music, and he is the student of Lynn Stodola and Peter Allen. He is also a gifted violinist. In short: he excels brilliantly in all he does. 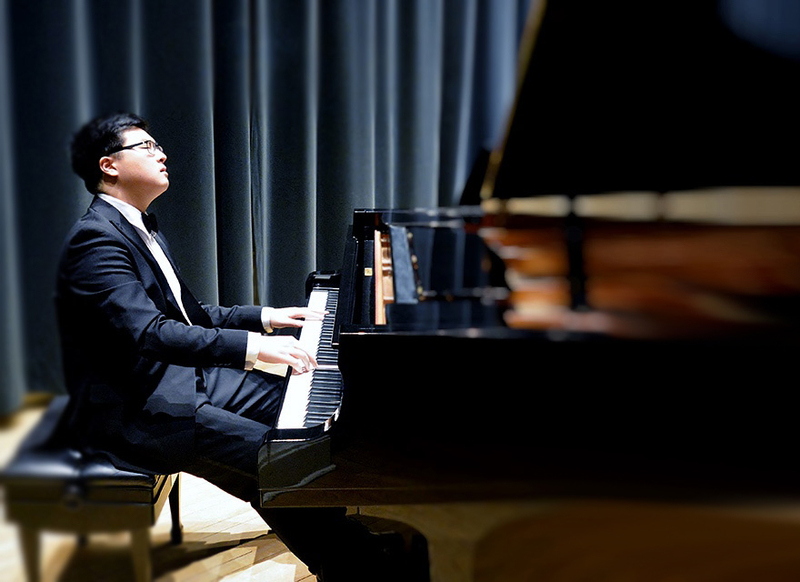 In 2015, Andrew represented Nova Scotia at the Canadian Federation of Music Teachers Association National Piano Competition in Vancouver, and will again represent Nova Scotia at this competition in 2019 in Winnipeg as the winner of the Advanced Class of the Nova Scotia Registered Music Teachers Scholarship Competition in July, 2018, in Sackville, New Brunswick. This win gave him the title of Atlantic Young Artist, and it is under this designation that he appears in the Garden Room. In August 2018, also in Sackville, as winner of the Nova Scotia Provincial Music Festival, he represented Nova Scotia at the National Music Festival. Here he won first prize in the piano competition, and was also named second prize Grand Award Winner at the gala concert of the nationals.